- žádné změny právních předpisů týkající se advokátní profesní samosprávy nesmí být prováděny bez konzultace s nezávislou advokátní profesní organizací. Ostatní řečníci tohoto odborného panelu se ve svých projevech zabývali dalšími vůdčími kritérii, které je třeba posoudit za účelem dosažení spravedlnosti; hovořilo se o dostupnosti spravedlnosti, přiměřených zdrojích (finančních i lidských, včetně dostatečného financování právní pomoci ze strany státu), o přiměřené odborné přípravě soudců a soudních úředníků, či o efektivních nástrojích pro posuzování činností (např. sledování a hodnocení soudních činností). Druhý odborný panel byl na konferenci sestaven s dalších významných osobností, vystoupil zde Colin Tyre, soudce Nejvyššího soudu ve Skotsku, JUDr. Tomáš Borec, předseda Slovenské advokátní komory, Ana-Maria Udruste, zakladatelka a vedoucí advokátka kanceláře Digital and Tech Law@Darian DRS a Clementina Barbaro, tajemnice pracovní skupiny pro efektivitu justice Rady Evropy (CEPEJ) a mnozí další. 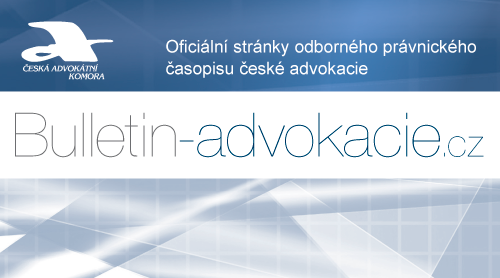 Panelisté diskutovali na téma rizik a možností ve vztahu k digitalizaci justice. Projevy panelistů se zaměřovaly na vývoj informačních a komunikačních technologií v soudnictví, které přispívají k zajištění přístupu k soudnímu řízení online, čímž se zvyšuje transparentnost soudních systémů a přispívá se také k soudržnosti judikatury. Diskuse se také dotkly tzv. umělé inteligence (AI – Artificial Inteligence) a oblastí, kde se AI aktivně využívá, např. pokročilé vyhledávače judikatury či online řešení právních sporů. Mnozí soudci vystupující v diskusi byli však poněkud skeptičtější, co se používání nástrojů AI v soudnictví týče a varovali například, že zpracování soudních rozhodnutí do strukturované počítačové databáze může představovat určitá rizika, která budou vyžadovat zavedení odpovídajících záruk. Vysoká úroveň řečníků a jejich odborných příspěvků a související interaktivní diskuse zúčastněných, jak se zdá předala do prostředí justičních systémů EU pozitivní signál a určitý rámcový návod a inspiraci, jak dále zlepšovat nezávislost, kvalitu a efektivitu soudnictví, a jak zajistit, aby jakákoli reforma soudnictví, je-li tam či jinde zaváděna, brala vždy v úvahu principy zachování a posílení právního státu a platných evropských norem přijatých v oblasti lidských práv, včetně ochrany základních práv a svobod. Presentation by Antonin MOKRY, President of the Bars and Law Societies of Europe. Please allow me to first express my gratitude for the honor to represent the European Lawyers at this High-Level Conference on the effectiveness and quality of Justice Systems. I’m particularly pleased to be side by side with the Presidents of the European Court of Justice, Koen LENAERTS, of the ENCJ, Mr. Kees STERK and of CEPEJ, Mr Georg STAWA, three of our closest allies in our endeavors to develop a fair, accessible and effective Justice for all citizens and legal entities. Indeed, both Judges and Lawyers are the main Actors of Justice and share a common responsibility to continuously assess the effectiveness of Justice systems in Europe and to develop actions, joint actions whenever possible to evolve and improve. As President of the Council of the European Bars and Law Societies, I hereby reiterate the commitment of my organization to closely work together with judges and courts for the benefit of citizens and communities, undertakings and businesses, organisations and associations, communities and authorities, states and, of course, Europe and of the common European values: democracy, Rule of Law and Fundamental Rights. These questions are very relevant in a European Union where the mobility of persons, goods, services and capital has exponentially increased over the last decades. Hundreds of thousands of European citizens are married or have partnered with citizens of another member state. They have founded families outside of their Home State and have bought property in their Host State. They have children who study abroad and travel with friends to other member states. Millions of citizens work across the border or frequently deliver services in other member states. Companies invest in subsidiaries in neighboring member states or start-up new undertakings abroad. All these activities, exchanges, engagements and commitments, but also divorces, successions, failures and insolvencies, generate legal issues, for which the involved parties expect a swift and effective, but also fair and balanced legal solution through the competent Justice Systems. The absence of independence, quality and effectiveness of Justice Systems, Processes and Actors can be detrimental for a country, for its population, for its economy, for its attractiveness. This can result in an increase of emigration out of the country. Statistics have shown that between 2007 and 2015, some 3,4 million Romanians have emigrated, the second highest global emigration flows behind only Syria! 2,5 million Poles are estimated to live abroad. Both figures together equal half of the total population of a country like Belgium. For an open market economy to function and thrive and prosper, state discretion must be restricted. Red tape, bribery and government favoritism are incentivized when oversight and accountability mechanisms, in the form of independent judicial review, are restricted, undermined or hollowed out. Capital flows in Poland have shown negative figures (capital fleeing the country) when the laws on reform of the Judiciary have been voted. For example, when in December 2015 the law amending the law on the Constitutional Tribunal was voted, affecting the functioning of the Tribunal and the Independence of its judges, approximately 2 billion Euro has fled the country. Similar negative capital movements have taken place in the following years, when the Rule of Law mechanism was launched by the Commission. The exchange rate of the Polish Zloty has plummeted after the publication of the Opinion of the Venice Commission and of the European Commission’s Press release announcing the launch of an article 7(1) procedure against Poland. This impacts directly on the domestic economy of the country as imports become more expensive and added costs for firms are passed on to consumers (reduction of purchasing power). International financial markets are considering Poland, Hungary and Romania as the three EU countries with the most risk and therefor the concerned countries will pay higher borrowing costs on these markets. The blurring of the lines between state and judiciary will likely impact on long term growth prospects in these states. Threats to judicial independence may undermine the principle of equal treatment and procedural fairness. Moreover, the provision of security of person, security of property and enforcement of contract, checks on government and through checks on corruption and private capture, are inextricably linked to an independent judiciary and at the same time they are pillars of long-term economic growth. Rule of Law principles ensure that actions by the state take place under an effective and reliable legal framework, that they can be scrutinized and challenged if needed, and that effective redress can follow. If individuals cannot be confident of equal treatment by the judicial system, then the courts cease to be a dependable institution for dispute resolution and parties are forced back on the costly alternative of private enforcement. Importantly the rule of law involves not only restraints of state discretion but limitation on private owners as well. This is important as most forms of corruption involves exchanges with private actors who are its beneficiaries. Foreign Direct Investment inflows create jobs and stimulate demand. Attracting foreign firms is important for future growth prospects in any country. Additionally, providing an environment where the brightest students can secure good jobs domestically is essential to avoid brain drain. Experiences of private sector firms in Romania, Poland and Hungary indicated in the World Bank Database highlight some of the barriers and concerns around doing business in the respective countries. These experiences of established firms may discourage new Foreign Direct Investment and encourage existing Foreign Direct Investment outflows towards more stable and secure political economies. In the long run, these countries cannot compete based on comparatively cheaper labor alone. To achieve long term economic growth, investor confidence matters. For this strong oversight procedures and state accountability mechanisms in form of impartial judicial review are – among other things – essential. Robust institutions, political stability and adherence to liberal democratic norms – most notably the rule of law – are prerequisites to the development of any successful open market economy. What are the requirements for a Justice System – and for its Actors – to deliver upon expectations such as a swift and effective, but also fair and balanced legal solution to be delivered by competent Justice Systems? Which are the Key Performance Indicators for such Justice Systems, and how to measure them? How can we recommend these KPI’s and promote them in Member States so that they integrate them in their approaches to improve Justice Systems? A modern Justice System must provide appropriate and effective remedy against any wrongdoing and must lead to fair and just compensation in case of damages. - Cost effective Justice processes: the costs of Justice processes can be important but can be justified and acceptable if the preceding standards are being met. These quality criteria are first of all a matter of perception: Justice has not only to be done, but also to be seen to be done. People want Justice to be rendered in their host state in the same way and with the same guarantees as in their home state. For this perception, a distinction has to be made between Justice Systems and the processes, at one hand, and the Justice Actors and their interactions, at the other. 1) Under Justice Systems and processes has to be understood the organization of the Judiciary, the hierarchy of Tribunals and Courts, the access to tribunals and courts and the access to “one’s Natural Judge”, the respect for Procedural Safeguards, due process and fair trial. But also, the availability of legal aid, and the access to a lawyer, if necessary, appointed by the authorities, and the right to have a lawyer present at interrogations and indictments, at hearings and trials. Legal Aid is an important indicator for the assessments of a rights-based society: most states spend much more budget on material and resources for law enforcement, prosecution and trial systems, than for legal aid for the defense of citizens’ rights. 2) Under Justice Actors and their interactions, has to be understood the judges and lawyers, both free and unrestricted in the exercise of their respective missions: the lawyers to bring the case before the tribunals and courts, without obstruction and hinderance, without threats or menaces of being removed of the case or harassed; the judge for assessing the case and the reasons and rights of each party, without interference from third parties or authorities, for applying the law within his or her own discretion, for deciding in total impartiality. This requires that both Lawyers and Judges have to be independent and have also to be seen to be independent. As much as lawyers can never be very effective if the judges are biased or not independent, so will judges be very limited in their role if there are no independent lawyers to bring serious cases to their courts and tribunals. We have talked about the independence of judges, guaranteed through their selection and appointment, amongst others. The criteria and indicators for the independent selection and appointment of judges are recognized by numerous declarations and statements of international organisations. I will not further comment on that. These criteria and indicators for the independence of lawyers are equally mentioned in several statements and declarations made by international organisations, such as the UN Basic Principles on the Role of Lawyers, the Council of Europe Recommendation on the freedom of exercise of the profession of lawyer, etc. These indicators and criteria are easy to assess, to measure and to promote. The CCBE has appointed Rule of Law rapporteurs for Poland and Hungary. Their mission consists primarily to assess these criteria and those indicators of independence and free exercise of the lawyers’ profession in the concerned countries. The main objective is of course to contribute to a complete set of criteria and indicators for measuring the respect for the Rule of Law and for a Rights-based justice system. In time, such a set of combined criteria and indicators, both for measuring the working of justice systems but also processes and the independence of the actors, can be incorporated into one model, to be used in Rule of Law assessments in Member States (European Semester, Justice Scoreboard, …) but also in the framework if accession negotiations and reform support for candidate accession countries. The Commission, the Judiciary and the Legal Profession can indeed work together to further develop the Rule of Law part of the Copenhagen Criteria. This is in each case my wish as President of the Council of Bars and Law Societies of Europe.